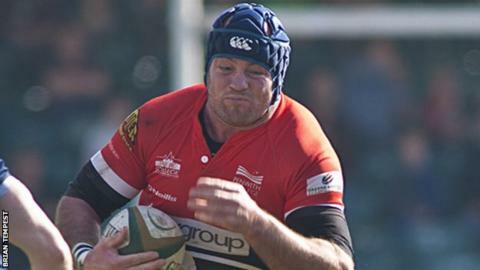 Cornish Pirates forward Laurie McGlone has signed a new one-year deal at the Championship club. The 35-year-old New Zealand-born forward, who has played 121 times for the Penzance-based club, will stay at the Mennaye until the summer of 2015. McGlone joined the Pirates from Coventry in 2009. "Laurie has become a true Pirate legend so to secure his playing services for another season is a fantastic boost," said Pirates boss Ian Davies.